Warning: This post is full of delaying tactics. The meat starts about halfway through. But if you like my nonsense, please read all the way through. I am trying to get with the program and eat at regular times, but this morning I ate my second breakfast - excuse me, I believe the technical term for the ingestion I undertook at about 11 a.m., following the inadvertent Zumba class is “refueling”. That’s what the nutritionist said. MY nutritionist. That’s right. I consulted a nutritionist. I consulted a nutritionist about The Uninvited Guest (mentioned in this previous post). Actually, that’s not really true, although the Uninvited Guest was a prod. The real reason I consulted a nutritionist was that I wanted the 16 year old to consult one, because she dances two to four hours a day six days a week. She’s the one who really needs to refuel. And I wanted someone besides me to tell her that Goldfish are not nutritious. Knowledge is power, as my longtime friend - let's call her A - tells me, when I tell her things like I can’t look at my bank balance. (No longer true, A). I don’t know why I’m writing to A. A never reads my blog. She will never even know I mentioned her. Knowledge is power, but when it's your mother who's imparting that knowledge, it just seems to have a little less oomph. But anyhow, knowledge IS power, and another one of the bits of knowledge I’d like her to have is how to avoid that dance world cliche of an eating disorder. “Her” meaning the 16-year-old, not A. So I figured, if I was taking her to a nutritionist, I might as well take myself, too. And so I did. And now I’m under strict instructions not to go any longer than five hours between meals. Bwahahahha. Excuse me while I fall off my chair laughing. I’m not sure I’ve ever gone that long without eating - except at night. Which, come to think of it, causes me to wonder if I’msuspposed to get up and eat a midnight snack? Maybe a meal between my first and second sleeps? Okay, I’m just playing with ya. I know that’s not it. By the way, the Zumba class was inadvertent because I don't intentionally go to Zumba. I went to NIA, but the NIA teacher was away and the substitute teacher they got was a Zumba teacher. It was fun, actually, and had lots of Bollywood in it. I definitely needed that refuel afterwards. I have to go to the dentist. My tooth has been aching, off and on. I wasn’t sure if it was a cracked tooth or that I was clenching my jaw. Then I got a bad cold last week and couldn’t breathe through my nose and my teeth stopped hurted. So obviously, I had been clenching, but no longer could. See, there’s the silver lining. On the down side, last week I had a bad cold and so, despite by operating theory that it’s almost always better to exercise, I didn’t. Last week was just not one of those times when it was better to exercise. Okay, Readers, I can no longer delay getting to the reason for this blog post's title. Translation for those of you who don’t know what five sauce is: A popular - wildly popular - band comprised of 4 cute young men. One of whom had facial burns now. A band, mind you, playing across the sea. A band called Five Seconds of Summer (5SOS - five sauce). Readers, I know about teenybopper love. I really remember the stomach-churning love feelings elicited by photos in Tiger Beat of (and here I further date myself) Shaun Cassidy and Leif Garrett. I really do. Reeeelllly. So did I bring up those old feelings and really get into empathy mode with my daughter, who has spent I don’t know how many hours hunched over YouTube videos of Five Sauce? Did I accept with kindness and generosity this information she shared with me that was obviously very important to her? Hint: No, I did not. I just could not. It was these words, "This whole time I've been freaking out." Something curdled in me. Had she really been freaking out about this transatlantic incident during that whole sleepover, which included actual, live boys for the evening portion? Really? Silence. That blistering silence that radiates disapproval engulfed me. The 16yo turned on Spotify and filled the void with music. “It’s not that I don’t care. I mean, I’m sorry he got hurt and I hope he’s okay,” I tried to recover my humanity. Then I turned to her, “But you do know you don’t actually know them?” I said. "What happened with the guys at the party?" At home, she bounded into the house ahead of me. When I arrived in the kitchen, she was telling her father about the burned sauce. “Wow, that is terrible,” he said, inflecting. “Is he going to be okay to perform tonight?” His voice rounded the curve of the question on an upnote. Inflecting further. At least she has one good parent. Damn him. Other news, that may or may not be good, is that I discovered chocolate ice cream made out of goat’s milk. Although I am lactose intolerant I can tolerate goat’s milk products, digestively speaking. It is delicious. This is small consolation. 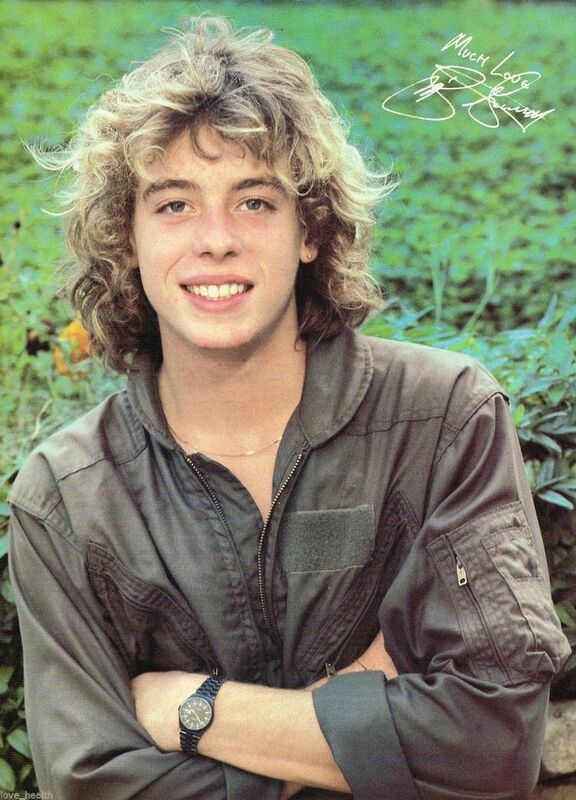 And yes, I know it seems ridiculous now, but Leif Garrett and Shaun Cassidy were really cute.